If you're looking to give your dining experience and instant upgrade then this beautiful Cleo Mahogany Dining Chair is the perfect addition to add to your home to do just that. 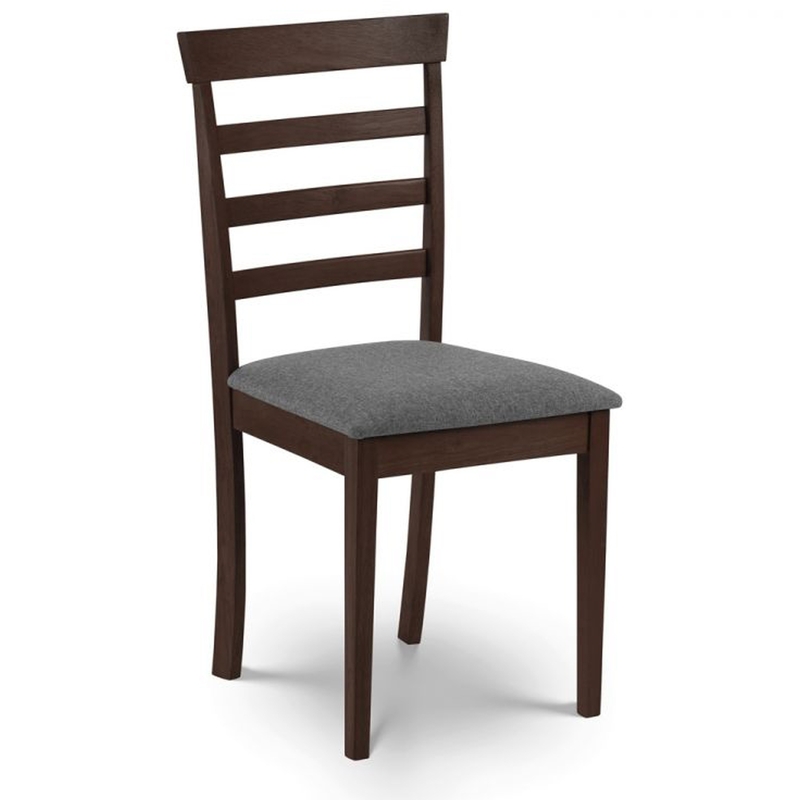 Complete in a natural brown mahogany colour and with a soft grey coloured fabric seat his dining chair is ensured to add a focal point to any room. Handcrafted to the highest quality it's ensured to last a lifetime.